Thanks to celebrity shills such as Alan Thicke even non-tax experts know the reach of IRS’ collection powers. That power extends to allow it to levy on a taxpayer’s property unless that property is subject to a specific exemption in Section 6334(a). Included in that exemption list are things like workers’ compensation and unemployment benefits. Veterans’ disability payments are also on that list. Last week’s 10th Circuit’s Maehr v Koskinen involved an IRS levy on a bank account that had received the taxpayer’s VA disability deposits. Maehr had challenged the IRS assessment and intention to levy on some of his assets. Maehr appears to be a serial tax protestor, and the order dispenses with the frivolous arguments quickly though not the issue of the levy on the bank account that held his VA payments. That issue requires a bit more context and analysis. Maehr had an account at Wells Fargo that received his VA disability payments. Under Section 6334(a)(10), IRS is precluded from directly levying on certain armed force connected disability benefits. Maehr argued that Section 6334(a)(10) should protect the assets in the bank account since the funds were comprised of VA disability benefits that are exempt from levy. (1) the IRS did not place a direct levy on any exempt VA disability payments; and (2) even if the IRS is improperly levying exempt disability payments, the only remedy available to the taxpayer would be full payment of the assessment of his tax liability followed by a suit for refund in district court. The arguments are closely related. The second of the arguments relates to the Anti-Injunction Act (AIA), which, is codified at Section 7421 and provides that “no suit for the purpose of restraining the assessment or collection of any tax shall be maintained in any court by any person, whether or not such person is the person against whom such tax was assessed.” In other words, taxpayers unhappy with IRS enforced collection actions are generally unable to get a court to enjoin the IRS from going forward with its collection powers, including levy. We have discussed the AIA on numerous occasions, as courts in the past few years have been poking holes in that restriction. Even before some of the recent exceptions, then Chief Justice Warren in the Williams Packing case crafted a two-pronged common law exception to the AIA: 1) that under no circumstances could the Government ultimately prevail and 2) that equity jurisdiction otherwise exists. Courts have generally looked at that last part of Williams Packing as requiring the taxpayer to prove irreparable injury stemming from the IRS’s proposed collection action. Taxpayers subject to collection action for excise and employment taxes that were outside the deficiency procedures have often faced the AIA’s reach when IRS sought to collect even while a refund proceeding was in the works. In a 1977 case called Marvel v US the 10th Circuit used the AIA to dispense with a taxpayer trying to challenge the IRS’s levying of business’s assets during a district court refund suit following a partial payment of employment taxes. In Maehr, the 10th Circuit distinguished Marvel on the facts, noting that Maehr also had a cause of action in addition to injunction (I assume a wrongful collection claim as well). However, here the government has not directly levied Appellant’s VA benefits, and it suggests that it may do indirectly what it may not do directly—that it may wait until exempt VA disability benefits have been directly deposited into Appellant’s bank account and then promptly obtain them through a levy on all funds in the bank account, despite their previously exempt status. The government cites no authority to support this argument, and the few cases we have found adopting such a rule, see, e.g., Calhoun v. United States, 61 F.3d 918 (Fed. Cir. 1995) (unpublished table decision); United States v. Coker, 9 F. Supp. 3d 1300, 1301–02 (S.D. Ala. 2014); Hughes v. IRS, 62 F. Supp. 2d 796, 800–01 (E.D.N.Y. 1999), have not considered whether this result is consistent with the Supreme Court’s opinion in Porter Aetna Casualty & Surety Co., 370 U.S. 159 (1962), or with 38 U.S.C. § 5301’s prohibition against the levy of veterans’ benefit payments either before or after receipt by a beneficiary. I was not familiar with either the Porter case or 38 U.S.C. § 5301, and this opinion nudged me to look at both. Porter v Aetna Casualty involves a private creditor and not the IRS but it held that VA disability benefits paid to an incompetent veteran and deposited in a federal savings and loan association were exempted from attachment by 38 U.S.C. § 3101(a) [now codified at 38 USC 5301(a)(1)]. That statute provides that payments administered by the VA “shall be exempt from taxation, shall be exempt from the claim of creditors, and shall not be liable to attachment, levy, or seizure by or under any legal or equitable process whatever, either before or after receipt by the beneficiary. The preceding sentence shall not apply to claims of the United States arising under such laws nor shall the exemption therein contained as to taxation extend to any property purchased in part or wholly out of such payments.” (emphasis added). So Title 38 has its own protection of VA disability benefits that goes beyond the Internal Revenue Code. As I said, Porter did not involve an IRS levy (instead it involved a private creditor) but it did directly consider the reach of the Title 38 protection when the disability benefits were held after payment. The savings and loan rules at issue in Porter treated the depositor as a shareholder, requiring a 30-day demand before the S&L shareholder could reach the proceeds. Porter considered whether the deposit of the VA disability payments in a savings and loan essentially constituted after-acquired property that was no longer protected by Title 38. Porter discusses the earlier case of Lawrence v. Shaw, 300 U. S. 245 (1937), where the Court held that “bank credits derived from veterans’ benefits were within the exemption, the test being whether, as so deposited, the benefits remained subject to demand and use as the needs of the veteran for support and maintenance required.” On the other hand, the Court had held in a prior case that a veteran’s purchase of bonds with the VA proceeds removed the protection of the statute and those bonds constituted an after-acquired investment. Since legislation of this type should be liberally construed… to protect funds granted by the Congress for the maintenance and support of the beneficiaries thereof… we feel that deposits such as are involved here should remain inviolate. The Congress, we believe, intended that veterans in the safekeeping of their benefits should be able to utilize those normal modes adopted by the community for that purpose — provided the benefit funds, regardless of the technicalities of title and other formalities, are readily available as needed for support and maintenance, actually retain the qualities of moneys, and have not been converted into permanent investments. IRS has a longstanding position that once the funds move from the excepted payor to the taxpayer, the funds lose their exemption. The Porter case and Maehr’s unearthing it suggest a possible barrier to the vast collection powers that IRS generally has when there is a bank account that has solely as the source of its deposits disability payments the IRS would be unable to reach directly. Given the explicit language in Section 6334(c) and IRS’s longstanding view that the exempted property loses its character when the funds reach the taxpayer I would expect a vigorous challenge to extending Porter to include protection from the reach of an IRS levy. In addition, even if that protection were extended, there could be some interesting second order questions. Query for example the tracing problems if the account has other funds beyond the disability payments or if the IRS were to show that the taxpayer had other funds that he used to meet his necessities beyond the disability payments. Your clients love the idea, and always think the government should pay, but it isn’t that easy. Below are a summary of a handful of cases highlighting many pitfalls, and a few helpful pointers, in recovering legal fees and civil damages from the government (sorry federal readers) that have come out over the last few months. The Ninth Circuit, in US v. Optional Capital, Inc., held that a third party holding a lien on property could not obtain attorney’s fees for an in rem proceeding to determine its rights in real estate that had also been subject to government liens pursuant to the Civil Asset Forfeiture Reform Act, 28 USC 2465(b)(1)(A), or Section 7430. The Court determined the 3rd party was not the prevailing party “in any civil proceeding to forfeit property,” as required by CAFRA. The government had lost in a related hearing regarding the lien, but the 3rd party had “not pointed to any work it performed that was ‘useful’ or ‘necessary to secure’ victory against the Government,” so it was not the prevailing party. It would seem, however, this leaves open the possibility of other 3rd parties prevailing, if meaningful work was done in the underlying case. This case is a good reminder of another potential option under CAFRA in attempting to claim fees in certain collection matters. As to Section 7430, the Court found, contrary to the 3rd party’s claims, it had not actually removed the government’s liens from the property, and therefore could not be considered the prevailing party, which is required under Section 7430 to obtain fees. In Bryan S. Alterman Trust v. Comm’r, the Tax Court held that a trust could not qualify to recover litigation costs under Section 7430 because its net worth was over $2MM. Section 7430 references 28 USC 2412(d)(2)(B), which states an individual must have under $2MM in net worth in order to recover litigation costs. That is extended to trusts by Section 7430(c)(4)(D). The taxpayer argued the eligibility requirement should be as of the time the deficiency notice was issued or the date the petition was filed. That “reading” of the statute was found incorrect, as Section 7430(c)(4)(D)(i)(II) states the provision applies to a trust, “but shall be determined as of the last day of the taxable year involved in the proceeding.” At that time, the trust had over $2MM in net worth, saving the IRS from potentially having to shell out capital. And, that’s why I always keep my trust balances below $2MM…and right around zero dollars. Key Questions: Are you the Taxpayer? Did you Exhaust the Administrative Remedies? The District Court for the Northern District of Illinois dismissed the government’s motion for summary judgment in Garlovsky v. United States on fees under Section 7433, but also gave clear indication that the claim is in danger. In Garlovsky, the government sought collection on trust fund recovery penalties against an individual for his nursing home employer that allegedly failed to pay employment taxes. Prior to that collection action, the individual died, and notices were sent to his surviving spouse (who apparently was some type of fiduciary and received his assets). The taxpayer’s wife paid a portion, and then sued for a refund. As to damages, the Court found that the taxpayer’s wife failed to make an administrative claim for civil damages before suing in the District Court, which is required under Section 7433. In addition, although the surviving spouse received the collection notices, none were addressed to her and the Service had not attempted to collect from her. Section 7433 states, “in connection with any collection of…tax…the [IRS] recklessly or intentionally, or by reason of negligence, disregards any provisions of this title…such taxpayer may bring a civil action…” The Court found that the spouse was not “such taxpayer”, and likely did not have a claim. Although I have not researched this matter, I would assume the estate of the decedent could bring this claim (unlike Section 7431, pertaining to claims for wrongful disclosure of tax information, which some courts have held dies with the taxpayer – see Garrity v. United States –a case I think I wrote up, but never actually posted). The 9th Circuit held that married taxpayers were not entitled to recover attorney’s fees under Section 7430 in Simpson v. Comm’r, where the taxpayer did not substantially prevail on its primary argument, even though they did prevail on an alternative argument. In Simpson, the wife received a substantial recovery in an employment lawsuit. The Simpsons only included a small portion as income, arguing it was workers comp proceeds (not much evidence of that). The Tax Court held 90% was income. This was upheld. The 9th Circuit held that the taxpayer was clearly not successful on its primary claim. They did raise an ancillary claim during litigation, which the IRS initially contested, but then conceded. The Court held the Service was substantially justified in its position, as the matter was raised later in the process and was agreed to within a reasonable time. Finally, the Court held that the taxpayer’s settlement offer did not qualify as a “qualified offer”, since the taxpayers indicated they could withdraw it at any time. Qualified offers must remain open until the earliest of the date it is rejected, the date trial begins, or the 90th day after it is made. Something to keep in mind when making an offer. Strong New Hampshire requested documents through a FOIA request regarding various New Hampshire politicians. It took the IRS a long time to get back to Strong New Hampshire, and it withheld about half the applicable documents as exempt under FOIA. Strong New Hampshire continued to move forward with the suit, and the Service moved for summary judgement arguing it complied. Aspects remained outstanding, but the Court held that the Service had not improperly withheld the various documents. The IRS did a second search, moved for summary judgement, and Strong New Hampshire did not contest. The Court held that the voluntary subsequent search by the Service did not raise to the level of substantially prevailing by Strong New Hampshire. As required by the statute, there was not a court order in favor of Strong New Hampshire, and the actions taken by the Service unilaterally in doing the second search was not sufficient to merit fees. Over the last two months, the IRS has made two administrative changes that we didn’t previously cover that impact the collection of taxes, predominately from low income taxpayers. One is fairly negative (National Standards for collection potential), and I have mixed feelings about the other (paying taxes while buying a Big Gulp). The Service has issued updated National Standards for taxpayer expenses when determining collection potential. These amounts are what the Service views as reasonable expenses for food, housekeeping supplies, clothing, and miscellaneous expenses. A taxpayer can rely on the National Standards without having to put forth any evidence of the actual expenses paid. The Service also issues amounts by County for taxpayers for expenses relating to housing and utilities. If a taxpayer seeks to claim expenses in excess of the National Standards (or local for housing), the taxpayer has to substantiate the same and prove the additional expense is necessary. This can be onerous, especially for people using predominately cash, those who are ESL, and those with temporary housing. For larger families, the amount increased slightly, but for smaller families, the amount decreased, when many taxpayers making these types of offers were already feeling the pinch. Various local amounts for housing and utilities also decreased, some of which by over $100. When putting both together, collection potential is increased by well over $100, perhaps approaching $200 per month. Having worked in the clinic at Villanova and assisting various pro bono clients in my private practice, I know most taxpayers using these standards felt the national amounts were difficult to live on and assumed significantly more discretionary income than they had. That got squeezed a bit more with these adjustments. The IRS has issued a new cash payment option largely aimed at helping unbanked taxpayers pay their taxes. The notice can be found here. The payment option allows taxpayers to use cash to pay their taxes at the over 7,000 domestic 7-Elevens (not sure it works in the roughly billion international 7-Elevens—I had no idea it was so popular overseas). This is being done with a partnership with PayNearMe and ACI Worldwide’s Officialpayments.com. With rumors that the IRS will stop allowing walk in cash tax payments (already only allowed in limited locations) and taxpayers receiving penalties for certain cash payments, any additional payment method for those without bank accounts and credit cards is welcome. I’ll be honest, the idea of 7-Eleven collecting our taxes is entertaining and seems quintessentially American (even if it is owned by a Japanese company). It also makes me nervous, as outsourcing tax collection in other areas has not panned out well, and the franchise model strikes me as potentially allowing for less corporate oversight (7-Eleven in Australia is also currently battling a huge human rights issue over its wages). Also, Slurpees are gross. But, apparently other countries have been using 7-Elevens to pay some taxes and traffic tickets, so maybe this will work out splendidly. Ignoring the major Slurpee issue, the IRS program requires the taxpayer to go to IRS.gov and to the payments page (so, no bank account, but easy access to the internet is needed). There you select the cash option, and walk through the steps. Once the taxpayer’s info is in the page, the taxpayer will receive an email from Officialpayments.com, which confirms their information. The IRS then has to verify the information, at which point PayNearMe sends the taxpayer another email, with a link to a payment code and instructions (this is sort of seeming like a pain in the @$*). The individual can then print the payment code, or send it to his or her smart phone. The taxpayer then can go the closest 7-Eleven, make the payment, and receive a receipt. Only $1000 per day can be paid, and there is a $3.99 charge per payment. I applaud the notion, but the implementation, especially for low income and ESL, seems pretty onerous. I’m not sure all taxpayers who may need to use this service have easy access to the internet, computers, email addresses, printers, and/or smart phones. Not to mention, there are quite a few steps, this does take a while, and we are charging them to pay their taxes. The IRS is also encouraging taxpayers to start the process well ahead of tax time, due to the three step process, and the fact that the funds “usually posts to the taxpayer’s account within two business days.” The notice does not indicate what the payment date is for the penalties and interest, but the notice would seem to indicate it is the posting date and not the date the taxpayer hands the funds over to 7-Eleven. I don’t think Section 6151 has a Kwik-E-Mart exception for time of paying tax, and I do not think 7-Eleven qualifies as a government depository under Section 6302, so taxpayers do need to be certain to allow for substantial time to pass between the payment date and the tax return due date. Second part of the catch up. These materials are largely from February. One more installment coming shortly. We may be renaming SumOp. Although I loved the name (thanks Prof. Grewal), this keeps getting linked as a summary of all Tax Court summary opinions. Feel free to suggest names, although it may just fall under the Grab Bag title from now on. And, if you work at a law firm that is taxed as a C-corporation, check out the Brinks, Gibson discussion below. Might be a little scary. Most of you probably heard that the Form 8971 was issued for basis reporting in estates. Form can be found here and instructions here. First set will (probably, although it has been extended a couple times already) be due June 30th. Pretty good summary can be found here. Lots of complaints so far. The Fourth Circuit had a recent Chapter 7 priority case in Stubbs & Perdue, PA v. Angell (In re Anderson). In Stubbs (great name), S&P were lawyers who represented Mr. Anderson. Initially, the case was a Chapter 11 case, and S&P racked up $200k in legal fees. Priority, but unsecured. There was also over $1MM in secured tax debt. The bankruptcy converted to a Chapter 7, and S&P were tossed in with the unsecured debtors, which they took exception with. The Court looked to the current version of section 724(b)(2) of the bankruptcy code. That section allows certain unsecured creditors to “step into the shoes” of secured creditors, and recover before other creditors. Due to perceived abuses, that section had been amended in 2010 to limit the expenses that were given super priority, including Chapter 11 administrative expenses when the case was converted to a Chapter 7 case. The amended provision was in place when the conversion occurred, and the Fourth Circuit relied on that version of the law, disallowing the legal fees super priority. The law firm argued the prior version of the statute should apply, as it was the applicable statute when the originally filing occurred, but the Fourth did not agree. Why does this really matter? It is the federal tax liability supported by the federal tax lien that gets subordinated to pay these priority claims. So, the fight in this insolvent estate boiled down to whether the lawyers, who may have waited too long to convert the case to Chapter 7, or the IRS get paid (of course, the decision to convert is a client decision which puts the lawyer’s ability to get their fees at the mercy of the rationality of the client’s decision. A bad place to be) (thanks to Keith for giving me a quick primer on this subject). The Tax Court in Brinks, Gilson & Lione, PC v. Commissioner has probably caused quite a bit of concern for quite a few law firms – or should (which reminds me, I have something to discuss with the Gawthrop management committee). McGuire Woods has a good write up, and some insight into planning around the issue, which is found here. The facts are that the firm would provide partners with a salary, and then at year end it would take all the profits and provide year-end bonuses to the partners, who would treat the amounts as W-2 wages. This would wipe out the profits, so the c-corporation law firm would have no tax due (sounds familiar to a lot of you in private practice, doesn’t it?). This firm had close to 300 non-lawyer employees who generated profits, and the IRS said that treating the bonus amount as w-2 income on to the partners on what those other folks generated was improper. The corporation should have paid tax, and then dividends should have been issued to the partners, who would also then pay tax. Yikes! That is interesting enough, but the Court also found that the firm lacked substantial authority for its positions and there was no reasonable cause under Section 6662(d)(2)(B), so substantial penalties were also due on the corporate income tax due (the regulations do not allow for an “everyone else is doing it” defense). Sometimes you go into court just knowing you are going to look like an @s$ for one reason or another. I may have felt that way walking in to argue Estate of Stuller for the government before the Seventh Circuit. Not because I would have been wrong, but, based on the opinion, the taxpayer was having a pretty bad year. In Stuller, the Court held that the penalties for failure to timely file returns were proper when a restaurant business owner (who was a widow) missed the filing deadline. In the year in question, the husband died in a tragic fire, which also injured the widow. In addition, a key employee was embezzling from her businesses and she had difficulty tracking down aspects of the probate proceedings. The Court found all required info could have been found in her records, and she did not exercise ordinary business care and prudence to fulfill the requirements of the reasonable cause exception (it probably didn’t help that she was taking questionable deductions related to her “horse” business that lost like $1.5MM in the preceding years). If you recall from prior posts, in PMTA 2012-016…the IRS changed its position and held that where it had frozen the refund of a refundable credit, there was no “underpayment” for purposes of section 6664(a) because the freezing of the refund should be considered as “an amount so shown [on the tax return] previously assessed (or collection without assessment)” under section 6664(a)(1)(B). So, there can be no assessment of a section 6662 or 6663 penalty in that circumstance. However, section 6676′s penalty on excessive refund claims can apply even if the refund is never paid. Accordingly, within the PMTA, the IRS states (I think correctly) that where it freezes a refund of a disallowed refundable tax credit, it can assert a section 6676 penalty instead. The PATH Act did two significant things to section 6676: It removed the previous exception to applying the penalty with respect to EITC claims. It changed the defense to the penalty from the troublesome proof of “reasonable basis” (an objective test) to the easier “reasonable cause” (a subjective one). So, we may see section 6676 assessments in the future where refundable credits were improperly claimed, but the refund was frozen.…If a taxpayer improperly claimed, say, an EITC, but the refund was frozen, the IRS would later issue a notice of deficiency to permanently disallow the EITC. The IRS could also assess a section 6676 penalty (assuming no reasonable cause), since it is the claiming of an improper refund that triggers the section 6676 penalty, not its payment. It is still an open question whether or not the section 6676 penalty on disallowed frozen refundable credit claims will be asserted by the deficiency procedures or the straight-to-assessment procedures usually involved in the assessable penalties part of the Code. In United States v. Smith, the District Court for the Western District of Washington reviewed a community spouse’s argument that her portion of the community property house could not be used to satisfy her husband’s tax debt from his fraud. I found this write up of the case from a law firm out west, Miles Stockbridge. The Court upheld the foreclosure, finding the wife did not show that she was entitled to the exception of collecting against community property under Section 66(c), nor did she show that the debt was not a community property debt by clear and convincing evidence, as required under Washington law. Nothing too novel in US v. Wallis, from the District Court of the Western District of Virginia in February of 2016, but a good review of suspension provisions to collection statute. In Wallis, the Service took collection actions after the ten year period found under Section 6502 for penalties under Section 6722. The Court found collection was not prohibited, as the statute was tolled due to the taxpayer’s bankruptcy and OIC/CDP hearings. Sorry, couldn’t find a free version. The folks over at The Simple Dollar have asked that we provide you with links to some of their content. This post is about the best tax software for nonprofessionals to use for doing their own taxes. This site is geared to the general public, but has some basic finance and tax info. These are usually in the form of listicles, which are completely click bait, but are hard to hate. I’m pretty sure every single week is a good week to be Keith Fogg, but two weeks ago was good even by his standards. The adorable baby girl to the left is Keith’s first granddaughter, Lily. 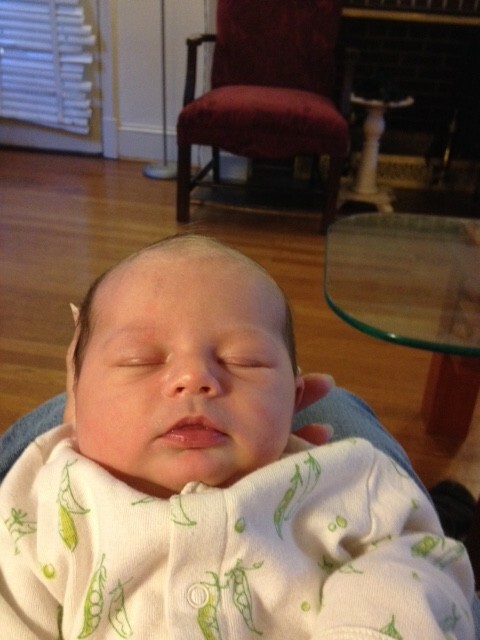 Keith’s daughter and Lily are both doing wonderful, and the entire family is ecstatic. Also cool, Keith presented at the ABA Tax Section meeting last week in Chicago. The panel was entitled Basic and Trending Issues in Tax Collection, which also featured Nina Olson and Mary Gillum. At the presentation, he used many PT posts to highlight a number of cases implicating these issues. Those materials can be found here for free!…which makes sense, because they are on the blog for free also. This is actually from September, but I thought I would include it now, since it is receiving a fair amount of attention. The IRS has announced it is terminating its appeals arbitration program. Jack Townsend has coverage on his Federal Tax Procedure Blog, as does Prof. Timothy Todd on Forbes. In the Revenue Ruling announcing the termination of the program, the Service noted only two cases were successfully handled with the arbitration. The mediation programs are still available. Also from September, but making the news last week, Coca-Cola had disclosed on its Form 8-K with the SEC that the IRS has issued a SNOD indicating it intends to assess $3.3 billion (with a B) in taxes and interest due to transfer pricing matters for licensing intangibles to related foreign entities. Kelly Phillips Erb over at Forbes has some additional coverage, indicating this will be designated for trial, which would impact CC’s ability to seek administrative solutions in Appeals or in the Advanced Pricing and Mutual Agreement Program. It also means the IRS thinks this case will have significant impact on the tax law. Interestingly, the 8-K notes the transfer pricing methodology was approved in a closing agreement with the Service in ’96, and confirmed on audit through ’06. We’ll be following this moving forward, and seems like it should implicate a handful of tax procedure items. Agostino & Associates has issued its September Monthly Journal of Tax Controversy, and this month drifts into tax policy to go along with its usual high quality practice articles. The first article touches on the need to educate Congress on the negative impacts to customer service for taxpayers and the issues it creates for practitioners. In addition, there is a great article on collateral sanctions in tax administration, and a substantial FAQ on FATCA. The Ninth Circuit upheld the negligence penalties on a taxpayer (lawyer) and his spouse for the improper deduction of a conservation easement due to the fact that a mortgage on the property was not properly subordinated. See Minnick v. Comm’r for the primary holding, and this ancillary opinion for the negligence penalty discussion. When an easement is placed on property, it must be done so in perpetuity, and having a pre-existing mortgage that could foreclose on the property thwarts that requirement. Treasury Regulations 1.170A-14(g)(2) requires any mortgage to be subordinated to the easement in order to obtain the deduction. In Minnick, the taxpayer took out loans against a property of $1.5MM by 2005. Shortly thereafter, land development plans were approved to develop a portion of the property, and the taxpayer made a donation of an easement allegedly worth about $941,000 to a land conservation group. In 2011, when the taxpayer found out about the subordination requirement, the bank agreed to subordinate the debt. The Court does not specify, but it seems like the property was worth far more than the debt and easement value. The taxpayer argued that the fact that the easement remained in place, and the fact that the mortgage was eventually subordinated (no harm, no foul) should allow for the deduction. The Ninth Circuit held that the statute and regulations were clear that the debt had to be subordinated at the time of the easement, and therefore no deduction was allowed. Ouch! I should have pulled the briefs on the penalty issue, but did not have time. The Ninth Circuit gives a nod to a reasonable cause defense for taking the deduction, but states Mr. Minnick was a lawyer who could have read the code and regulations. If that is the full reason for the lack of reasonable cause, it is somewhat alarming. Mr. Minnick may not be the one holding the bag at the end of the day, as he sued his lawyer for malpractice relating to the setup of the easement. In Shockley v. Comm’r, we have another Tax Court case dealing with transferee liability and the two prong test under Section 6901 requiring independent liability under state law and the federal law. Marilyn Ames recently covered this topic in great detail for us as it related to the Slone case in the Ninth Circuit just a few days ago. Issue: Whether Code sections 6020 and 6404 provide authority to the Service to prepare and file a Form 941-X in order to remove or abate employment tax liabilities of a professional employer organization. Conclusion: Code section 6404 is the legal authority upon which the Service may abate employment tax liabilities assessed against a professional employer organization in the circumstances noted below. Section 6020, which authorizes substitutes for return against non-filers, is an insufficient legal basis for removing or abating a previously made assessment of tax. Another fairly specific issue, but also interesting. The 11th Circuit vacated its August 4th opinion in Taylor v. Pekerol, and issued a new opinion on August 14th dealing with the unlawful disclosure of tax information related to a taxpayer’s tax crimes prosecution to other criminal suspects and the local news. The case was tossed at the district level, finding the pro se litigant failed to state a claim regarding the potential violations of Section 6103(k) and 7431(a), and, any such claim would be futile because it was (1) Heck-barred (great term) and that (2) the good faith exceptions to the statutes covered the alleged conduct. The Circuit Court remanded and gave leave to amend the complaint, finding that there was potential for violations, and Heck was inapplicable. Two quick interesting notes. First, Heck is a gosh darn case that holds a criminal cannot bring a civil suit for damages if the judgement would necessarily imply the invalidity of his conviction. See Heck v. Humphrey, 512 US 477 (1994). Here, the Court found the disclosure of tax information would not cast doubt on the conviction. Another issue raised by the government was that the District Court had dismissed the case without prejudice, which it argued should prevent the plaintiff from amending his complaint. The thought being that he could have refiled. The 11th generally agreed, but said that if the dismissal was tantamount to being with prejudice, it could allow the amendment. In Taylor, the statute had closed on the claims, preventing him from refiling the case, so amendment was proper. Section 6707A can be tough on taxpayers who fail to recognize they have entered into a reportable transaction and failed to disclose the same (sure the to-good-to-be-true alarm should probably be sounding off, but it is understandable that some folks think those types of results can be accomplished with good tax planning ). The Service actually suspended collection efforts on certain penalties under the Section from ’09 to ’10, and the penalty amount was drastically reduced after 2006. The Service has issued proposed regulations on how to calculate the lower penalty amount for failure to report reportable transactions under the amended statute. Still no reasonable cause exception though. Last January, we covered the 5th Circuit holding in US v. Marshall, which dealt with the extent of transferee liability for gift tax, and whether the tax assessed can surpass the face value of the gift when taking into account interest that may have accrued. The Marshall in question was J. Howard Marshall, who was involved in a May/very-late-December (like after Christmas) relationship with Anna Nicole Smith (I just read her Wikipedia entry and her first movie was The Hudsucker Proxie?!?!). She has nothing to do with this case, as it pertains to gifts he made to other family members and trusts for other family members. The 5th Circuit in August withdrew the prior November order, denied a petition for rehearing, and issued a new decision. You can find a link to the updated order on TaxProfBlog here. For all the details, check out the prior posting linked above. The prior holding stated that the donees were responsible for the tax and interest, which was not capped by the language. In the updated holding, the 5th Circuit reversed its position, stating that the tax and interest imposed on the donee is limited to the value of the gift under Section 6324(b). Apparently, Judge Reavley changed his position on this matter, perhaps convinced by Judge Owen, or the very persuasive writing found in the Procedurally Taxing post in January. Former Bears’ QB Kyle Orton thought something stunk, and it wasn’t his play, or the landfills his investment was dealing with, or the methane gas those landfills were supposed to be creating for sale. What stunk was the faulty tax advice he received in investing in those entities and the creation of the same that resulted in expected tax credits not being issued. In Green Gas Delaware Statutory Trust v. Commissioner, the Service disallowed the tax credits and assessed substantial tax pursuant to a final partnership administrative adjustment (FPAA). The TMP sought to dismiss the case for lack of jurisdiction, arguing the FPAA was invalid because the IRS failed to follow the 120 day timeframe in issuing the NBAP and FPAA, and failed to give a hearing before issuing the FPAA. The Court held that the issuance of the NBAP in an untimely fashion did not invalidate the issuance of the FPAA, following Bedrosian v. Comm, and Wind Energy Tech Assoc. II v. Comm. The Court noted that Section 6223(e) provided the remedy for the failure to timely file the notice, and it would not expand that relief to include invalidating the FPAA. Similarly, the Court found the failure to offer the partnership or partners the ability to participate in an administrative proceeding violated Section 6224, but, like the untimely notice, it did not invalidate the FPAA. The Court found the partners “may” participate under the statute, but there was no affirmative obligation on the Service to attempt to have a meeting with all parties involved. Carlton Smith recently emailed us regarding King v. Commissioner, a Tax Court case dealing with interest abatement on employment taxes- a fairly infrequent occurrence. The taxpayer in King successfully obtaining the interest abatement was interesting (bad pun not intended) by itself, but the case also touched on the Court’s jurisdiction to review an abatement action arising from the CDP context where the tax had been paid, and reinforced the Tax Court’s view on what is excessive interest (which is contrary to the IRS’s position and perhaps the most important aspect of the case). Although Mr. King was pro se, he was a lawyer (50 years of experience) and his tax practice is what gave rise to the employment tax liability. He was a solo lawyer, but employed at least one person in most quarters from 2002 to 2008. Apparently, not all employment taxes were paid, and the IRS assessed taxes and penalties of just under $50k. Most of Mr. King’s assets were real estate or his law practice, which would have been difficult or costly to liquidate. Mr. King requested an installment agreement, which became a long, drawn out fiasco, resulting in Mr. King being passed around to various agents, TAS, and others in collections. The IA was eventually denied due to the equity Mr. King had in various assets, and he requested a CDP hearing related to filed lien, which the IRS declined to withdraw. In October of 2011, Mr. King was finally able to contact Arthur Fonzarelli (come on Henry, you are better than that) and obtain a reverse mortgage to pay the taxes. Following the payment of the tax, Mr. King petitioned the Tax Court to review the denial of the installment agreement, and the IRS denial of penalty and interest abatement on the employment taxes. The Court had to grapple with whether or not it could take jurisdiction over a CDP case where the tax had been paid (usually, no), whether interest abatement applied to employment taxes (usually, no), and if the Service’s increasing usual game of pass off and wait could result in excessive interest (usually, no). As discussed below, the Tax Court for Mr. King (not to be confused with the Court of the King before the King Himself) was persuaded by the regal arguments, and held for the taxpayer on all three issues. As many of our readers know, in general if a taxpayer pays the assessment that gave rise to the CDP hearing, the Tax Court is divested of jurisdiction over the matter, and a taxpayer is forced to request a refund in a district court or the Court of Federal Claims. See Sections 6320 and 6330; Green-Thapedi v. Comm’r, 126 TC 1 (2006) (though in the SaltzBook upcoming chapter on CDP we also discuss some cracks in the no refund in a CDP case, an issue Les touched on in in June in the post Recent Order Explores Scope of Tax Court powers in CDP Cases). In the CDP hearing for Mr. King, however, Appeals considered the collection actions and alternatives, but also reviewed the interest abatement request. Recent case law has made it clear that the Tax Court views the CDP decision as a final determination regarding the abatement of interest. Although it is related to the CDP determination on the other matters, the abatement is independent and can provide jurisdiction on its own. In 2012 and 2013, the Tax Court in Gray v. Comm’r, 138 TC 298, declined to follow the IRS position that it lacked jurisdiction because the interest had been paid. It held that it retained its jurisdiction under Section 6404(h); Section 6404(h)(2)(B) provides in interest abatement claims that the Tax Court had overpayment jurisdiction. The Court, in foot note 12, gave the taxpayer a hand, by laying out how this was a claim for overpayment of interest due to failure to abate, as the petition did not specifically state an overpayment. Mr. King apparently argued that Section 6404(e) should have been a valid provision to rely upon for abatement of the interest related to his employment tax liability. Section 6404(e) allows for the abatement of interest on any deficiency attributable to the IRS’s unreasonable error or delay, and is frequently relied upon for income tax interest abatement. Unfortunately for the taxpayer here, there is pesky qualifying language relating to (e)(1)(B) that states the Service can only abate tax described in Section 6212, which restricts abatement to taxes imposed by subtitle A or B or chapter 41, 42, 43, or 44. This generally includes income, gift, estate, gst and various excise taxes on nonprofits or retirement plans – not employment taxes. King does not discuss (e)(1)(A), which allows for abatement of “any deficiency attributable in whole or in part to any unreasonable error or delay by [the IRS] in performing a ministerial or managerial act”, which does not contain the same reference to Section 6212. As (e)(1)(B) speaks of payment of the tax and (e)(1)(A) the assessment of the deficiency, my assumption is the timing on the assessment was not an issue, only the prolonged process of the taxpayer being able to pay. The Service position on (A) may be that the qualifying language applies to it also, but that may be susceptible to attack – I haven’t really researched the matter, but it seems like the key aspect is reliance on regulations that state the position, which seems outside the scope of the statutory language. So when is the assessment of interest excess? Probably not as often as taxpayers believe, but more often than the IRS would like. Section 6404(e) did not provide relief, but Section 6404(a) provides for the abatement of the portion of an assessment, including interest, which “(1) is excessive in amount…or (3) is erroneously or illegally assessed.” There is no restriction on the type of tax. Mr. King claimed that the interest was excessive because of the various delays created by the IRS. The Service position on this matter is that “excessive” is essentially a restatement of the third option of “erroneously or illegally assessed.” The Service has lost on this matter before in the Tax Court in H&H Trim & Upholstry v. Commr, TC Memo 2003-9, and Law offices of Michael BL Hepps v. Comm’r, TC Memo 2005-138, so this is not breaking new ground, but good reinforcement of a taxpayer friendly ruling. The Tax Court in the previous cases had interpreted “excessive” to “include the concept of unfairness under all of the facts and circumstances.” A bit broader than simply erroneously or illegally assessed. In H&H Trim, the taxpayer was able to show the interest would not have accrued “but for” the Services dilly-dallying. In King, the Service argued that the prior case law was incorrect, but also argued that the taxpayer could have made a voluntary payment to stop the interest and was requesting an installment agreement, which would have incurred interest. The Court essentially held that the taxpayer showed he would have perfected the installment agreement and paid it the underlying amount more quickly but for the IRS taking its sweet time and failing to follow its own IRM procedures in responding to the taxpayer’s IA request (albeit imperfect), and abatement was therefore appropriate. As to the voluntary payment, the Tax Court stated that Section 6404(a) has no language barring abatement when a portion of the error or delay could have been attributable to the taxpayer (Section 6404(e) has that language). Even if the taxpayer could have made the payment, the failure to do so did not alleviate the IRS’s requirement to abate. Overall, a very instructive case on making employment tax and interest abatement claims. Also helpful for those seeking abatement under Section 6404(a) who are arguing the tax is excessive, if the taxpayer can show that but for the IRS’s actions in inappropriately slowing the process the interest would have been less. Happy Memorial Day weekend! We won’t be posting on Monday, but will probably be back in full force on Tuesday. I know we have a handful of guest posts coming up on really interesting topics and I’m certain Keith and Les have some insightful things to add following ABA. In the week of May the 1st, we welcomed first time guest poster, Marilyn Ames, who wrote on NorCal Tea Party Patriots v. IRS and disclosure of return information. (C) within the period which would be applicable under section 6511(b)(2), (c), or (d), in respect of any claim for refund filed within the applicable period specified in section 6511 and before the date of the mailing of the notice of deficiency. the look-back period for obtaining a refund of overpaid taxes in the…Tax Court under 26 USC 6512(b)(3)(B), and decide[d] whether the Tax Court can awarded a refund of taxes paid more than two years prior to the date on which the [IRS] mailed the taxpayer a notice of deficiency, when, on the date the notice of deficiency was mailed, the taxpayer had not yet filed a return. We hold that in these circumstances the 2-year look-back period in 6513(b)(3)(B) applies, and the Tax Court lacks jurisdiction to award a refund. One difference in Butts and Lundy is that in Lundy the taxpayer made its request within three years of the filing date, whereas in Butts the request was made more than three years after the filing date. Based on a prior version of the statute, Lundy was precluded from obtaining a refund because it was outside of two years and there was not a reference to the three year statute applicable. Section 6512(b)(3) was modified in 1997 by Congress, and now the minimum statute of limitations would be the three years from the filing date. In Butts, under Section 6512(b)(3)(B), the Court stated it must look to the mailing date of the SNOD as a hypothetical claim date and determine if a timely claim could have been made then based on Section 6511. This requires a review of the two year statute from the date of taxes paid, and three years from the due date of the return. The withholdings for 2007 were treated as having been paid on April 15, 2008, while the initial SNOD was issued in June of 2011. Since both statutes had passed, no claim for refund could be allowed. There was a similar issue with the 2008 return. Peter Hardy and Carolyn Kendall, attorneys from Post & Schell, and prior guest bloggers here at PT, have posted on Jack Townsend’s Federal Tax Crimes blog (two-timers!) on the Microsoft appeal in In re Warrant to Search a Certain E-mail Account. The guest post can be found here, and Jack’s summary of related materials on the Stored Communications Act can be found here. Although the post deals with a drug case, the impact could be far reaching regarding subpoena power over electronic communications in the cloud (including datacenters outside of the US). Peter and Carolyn tie in the Service’s review of foreign accounts nicely. It’s like speed dating, but it might cost more and you only get lucky if you don’t get picked. The NY Times has an op-ed on the IRS speed audit, with agency cut backs causing reduced response time for taxpayers, which if not promptly responded to could result in important collection due process rights being forfeited. The op-ed indicates that the IRS may be sending out follow up letters the same day as the initial letter, which the author argues is in violation of the updated taxpayer bill of rights issued last year. When you are on the op-ed, check out the comments the NY Times has picked as important. Carl Smith was highlighted for indicating a few other ways the tax system is failing taxpayers. This practice may save time for the Examination Division of the IRS but pushes more cases into the collection stream which also impacts the IRS resources. On April 20th, the Tax Court issued a decision in Yuska v. Comm’r, holding the automatic stay invalidated a Notice of Determination Concerning Collection Actions regarding a tax lien that was issued after the bankruptcy petition. Importantly, the Court declined to follow the IRS’s suggestion that the Court distinguish this case from Smith v. Comm’r, which had similar facts but pertained to a levy. The timing of events were very important in following Smith, and the Service also argued that the Court should instead follow Prevo v. Comm’r, which was a lien case where the collection action occurred before the BR petition. In Smith, the Serviced began collection actions, and then the taxpayer filed a bankruptcy petition, followed by the Service issuing a notice of determination concerning the levy, and then the taxpayer petitioning the Tax Court for review of the levy action. The Court held the continuance of the collection action violated the stay under 11 USC 362(a)(1). In Prevo, the sustaining of the lien occurred before the BR petition. As to differentiating between a lien and levy case, the Court found the administrative review of a lien was clearly part of the administrative collection process and subject to the ruling in Smith, even if future administrative review was possible. Although the Court declined to differentiate between the two in this case, Keith noted that if the stay stopped the CDP case there can be important differences. In a lien case, the NFTL remains valid (if not enforceable) until after the stay is lifted. In a levy case, the stay prevents the IRS from moving forward with the levy completely. Keith didn’t read the case, and still came up with something much more insightful and helpful to add. This is becoming a little like an advertisement for Jack Townsend’s Criminal Tax Crimes Blog. Jack posted on the recent 7th Circuit case, US v. Michaud, which reviewed whether or not the IRS had authority to issue a summons in a criminal matter prior to a DOJ referral. The statute in question is Section 7602(b) & (d), which was modified after US v. LaSalle Nat’l Bank to make it clear the IRS did have this authority. The 7th Circuit had some additional thoughts on when the IRS couldn’t issue the summons. Check out the post for a discussion of that point, and Jack’s always helpful thoughts on the matter. Context is always important. For instance, being suspended can be very good (we took our daughters rock climbing this weekend, and being suspended by the rope was really helpful), but it can also be pretty bad in the school, professional or corporate context. Such was the case in Leodis C. Matthews, APC, a CA Corp. v. Comm’r, where the Tax Court held that it lacked jurisdiction over a deficiency petition brought be a corporation (law firm) that California had suspended its corporate privileges for due to failure to pay state taxes. Interesting point of law. Can someone bring the petition on behalf of the corporation so it does not lose its ability to contest the tax? Timing is also interesting. Corp is suspended May 1, 2013, and 90 day letter is issued June 30, 2014. Taxpayer petitions court Oct. 1, 2014 (presumably timely), and had its corporation reinstated November 26, 2014. You would guess he was trying to deal with his state tax issue during the 90 day period. I also wonder if there is a way to get limited rights reinstated, so that the corporation could have petitioned the Tax Court. We all hear the scare tactics on the radio about how if you owe more than $10,000, the IRS is going to come and take your assets, steal your children, put you in jail, shoot your dog, etc. We are lucky enough to know this is BS, and an effort to garner business. Sometimes, however, the IRS can show up at your premises (probably armed), and take your stuff. You have to owe a bit more than $10k, and the Service has to jump through a lot of hoops. In re: The Tax Indebtedness of Voulgarelis is one such writ of entry case. In Voulgarelis, the taxpayer apparently owed around $300k, possibly more, and ignored six notices of intent to levy. The Service sought an order authorizing it to enter the premises and levy the tangible property, which was granted in accordance with GM Leasing Corp. v. United States, 429 US 338 (1977). The Service has updated its list of private delivery services that count for the timely mailing is timely filing rules under Section 7502. The update can be found in Notice 2015-38. As we’ve discussed before, failure to file these rules can result in harsh results. These results can be seemingly arbitrary when a taxpayer selects a quicker FedEx/UPS delivery method that isn’t approved, and cannot rely on the rule. In information notice 2015-74, the IRS has reminded businesses of the temporary pilot penalty relief program for small businesses that have failed to properly comply with administrative and reporting requirements for retirement plans. That program ends June 2nd.